Today I want to talk about this curious image taken by Curiosity on Mars because today, as you know, the European mission ExoMars has suffered a serious setback when one of the modules fail landing in the final seconds without knowing where it is or has past. 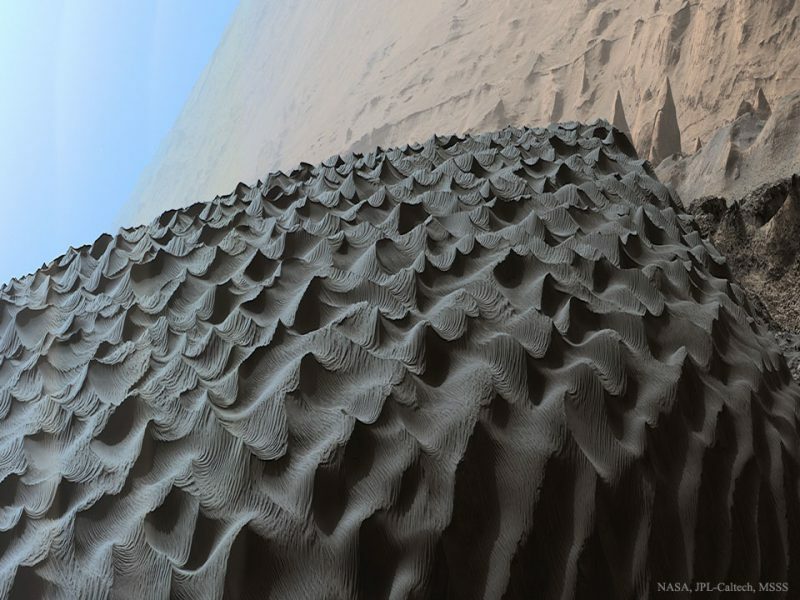 Returning to the image, is curious forms that have taken the sand near the crater Gale created, it is thought, by the Martian winds are mild in that area. Winds up the black powder which, curiously, offer these similar to what happens on the seabed forms. That is, on the seabed is easy to find these shapes in the sand because water currents (mild) and as such currents carry sand and sediment. So you think that about this crater have the same fluid dynamic effects ( “air” itself is a fluid such as water and therefore, except for the density, is subject to the same physical laws). 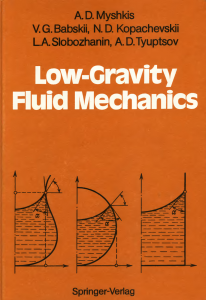 If you like this topic I recommend, as a reading book, the Myshkis of low gravity fluid mechanics of Springer Verlag. On this book, witch is easy to read but need work to know, you can find how different kind of molecules work with different surfaces on mechanical term, know how all the forces touch the fluid, know the differential ecuations needed and how to solve it. It have a very heavy mathematical base so I recomend you, at least, to have great know about how to differenciate, integrate, and a deep know about mathematical analisys. But with work you will have a nice reward!. Give it a try.